In my last post here on Over The Big Moon you may have caught a glimpse of the inside of our nursery closet and the arrows on the walls. What you may not know about those cute little guys is that they are made with washi tape and were done in just half an hour! 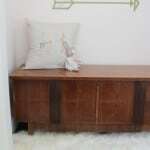 For some time I couldn’t decide what I wanted to do in my closet until I came across a post from Everything Emily about using washi tape to create decals. The ease and versatility of using tape sealed the deal for me. 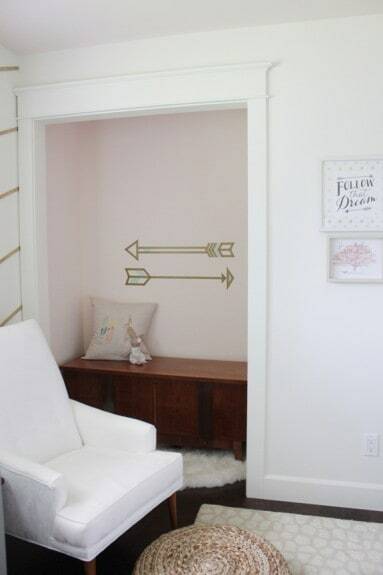 I decided on arrows since there is sort of an arrow theme in our nursery. The pattern you choose can be as easy or as complicated as you want it to be. The arrows landed somewhere in the middle; not too hard, but it did take a few brain cells to figure it all out. All I used was an exacto knife and straight edge to get nice crisp lines in my tape, and a level and measuring tape to place the decals in just the right spot. A word to the wise. 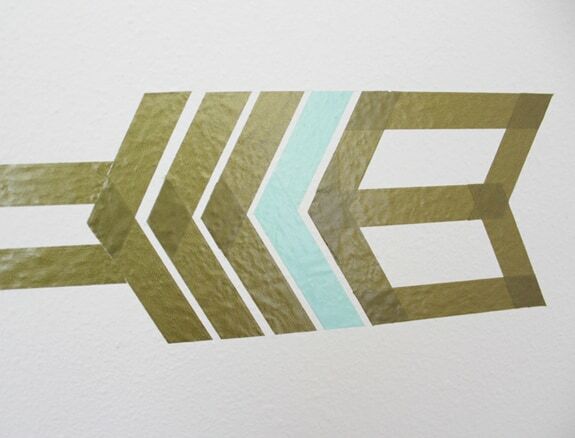 Washi tape is slightly see through and any overlap in your tape will be a slightly different color. You can see where the gold overlaps is slightly darker than the rest. Any overlap I had I made sure my edges were all straight, even underneath the tape, however I have seen others decals that are more free form and they look fabulous. So, it’s really just personal preference. This was such and EASY project and the options are literally limitless. With all the different colors and sizes of tapes out there, there is no telling what you could come up with! FYI, I got my tape from Office Depot but if you’re looking for online resources check out this list from Apartment Therapy. 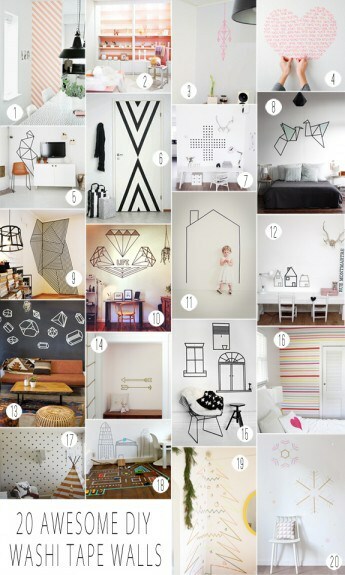 If you’re short on ideas for a design to put on your wall, I’ve put together a list of 20 of my favorite wall decals using tape. Now there’s no reason not to go try it! Thanks for including our tree! This is great inspiration! I love washi tape, too, but somehow it keeps falling off the wall when I try to decorate it. Do you have any tricks how to make it stay on the wall? Love this idea! Washi tape is the best!